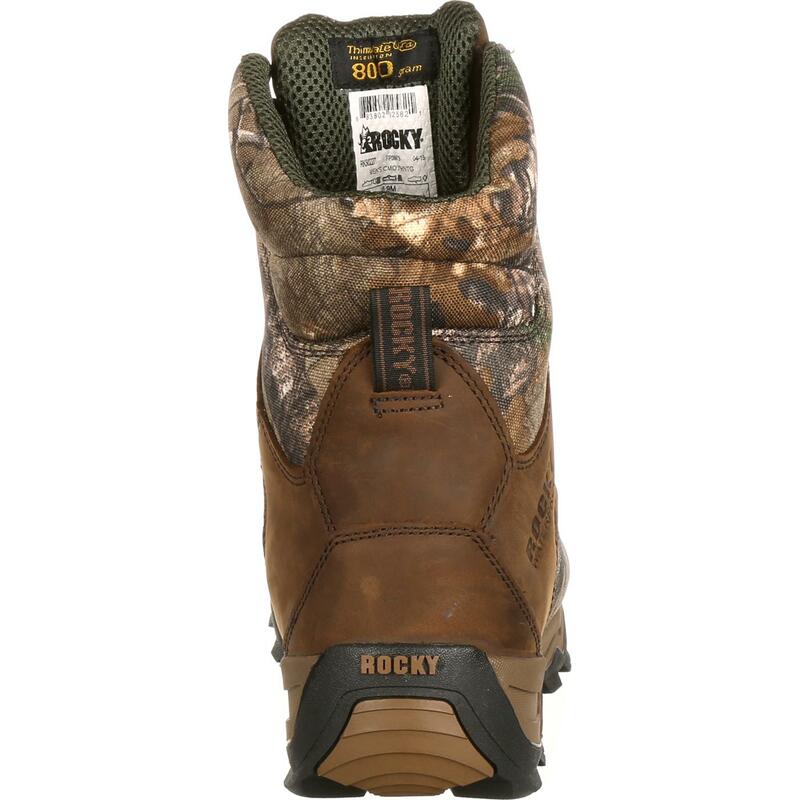 Rocky® Retraction Waterproof Insulated Outdoor Boots are a great choice because they keep your feet warm and dry "” and these are comfortable boots. 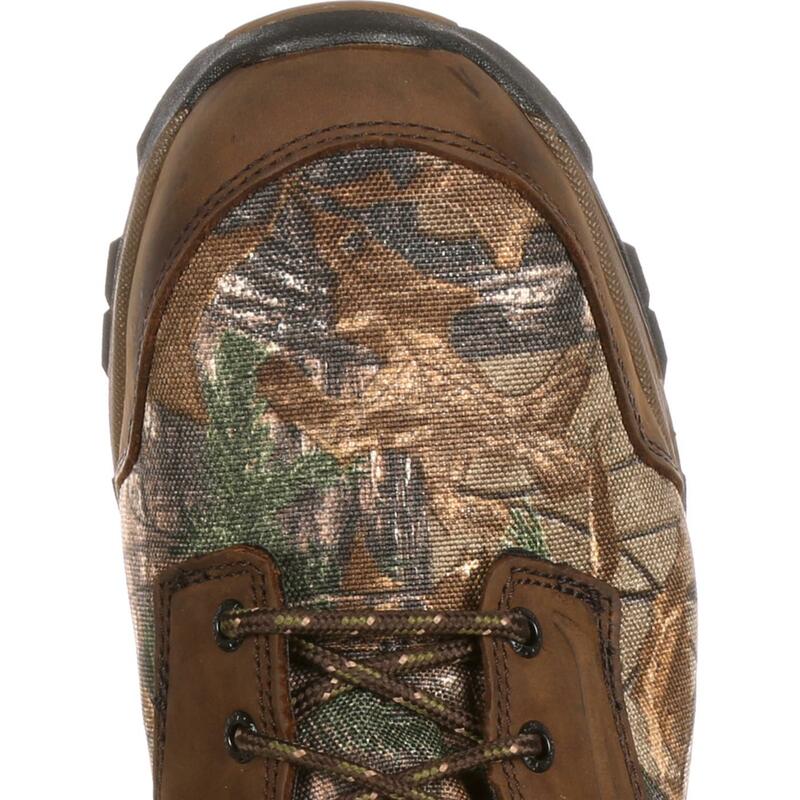 The men's hunting boots are leather and Realtree Xtra™ camouflage nylon for a great look; and the nylon resists tears and abrasions. That's a feature you'll like having as you walk through woods and brush on a hunt. 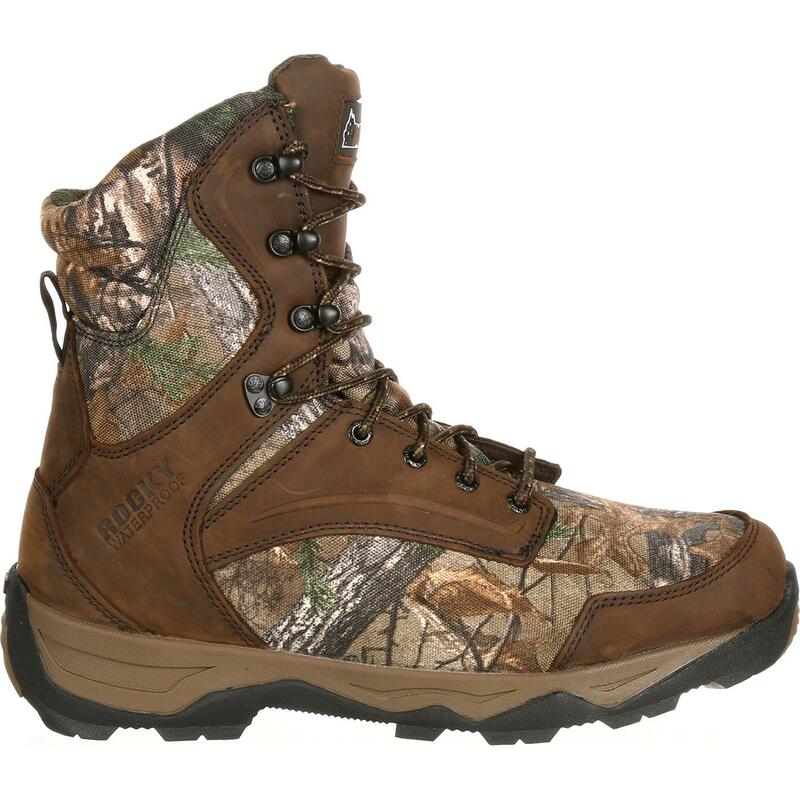 These are waterproof boots, and Rocky guarantees that your feet will stay dry. 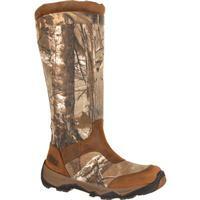 You don't have to jump over mud and wet ground; just walk on through with these boots. The 800 grams of 3M™ Thinsulate™ Ultra Insulation make these insulated hunting boots a warm choice even in the middle of winter. Hunt in the season you want, in the weather you want. Rocky has you covered. This versatile footwear also is comfortable. Inside is an Energy Bed footbed with memory foam that will shape to your foot for comfort during hours of wear. 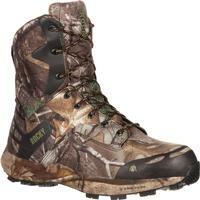 You can walk miles to your hunting spot without thinking about getting tired feet. 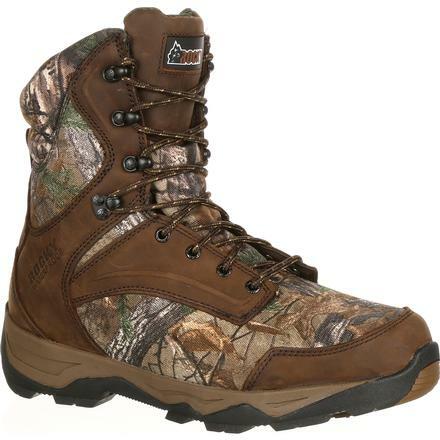 The boots also have a nylon shank that gives support to the arch of your foot. 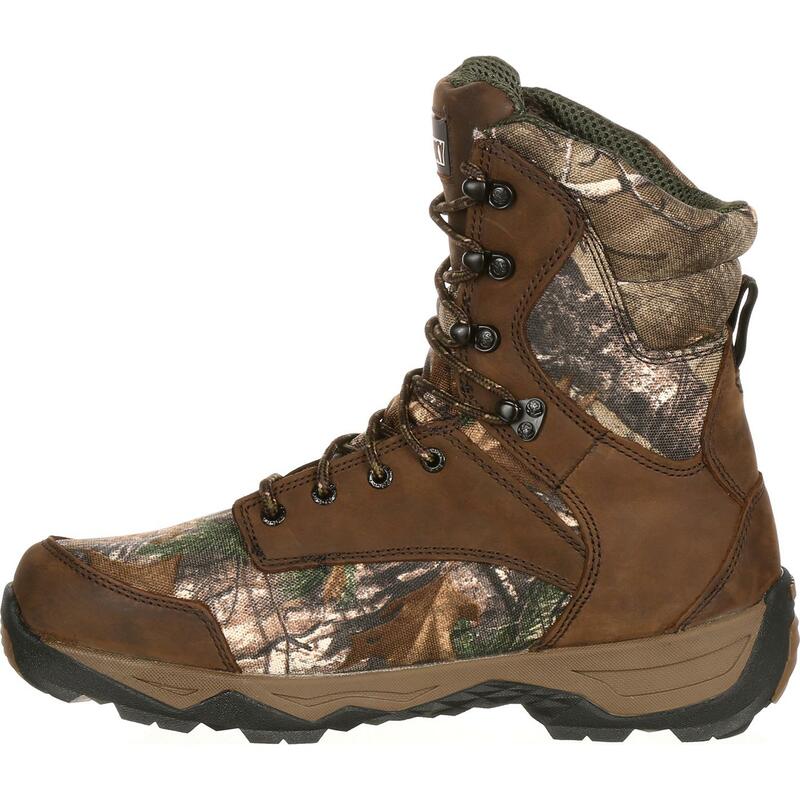 With a rubber outsole, even the bottom of these men's boots is comfortable with each step. 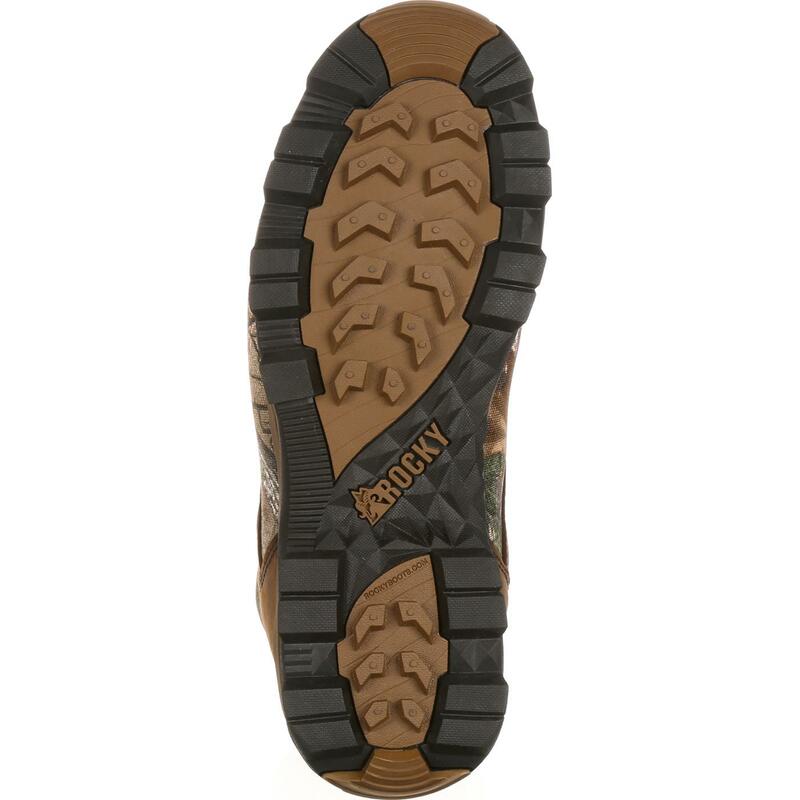 The rubber material also makes it easier to grip terrain as you walk, thanks to the great lugged outsole. If you want boots that you can wear on multiple terrains and in a variety of conditions, you need versatile, functional boots. 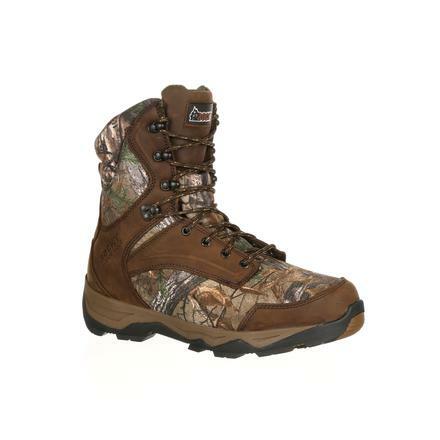 Get waterproof, insulated boots that feature camo, grip the terrain and are comfortable, too! 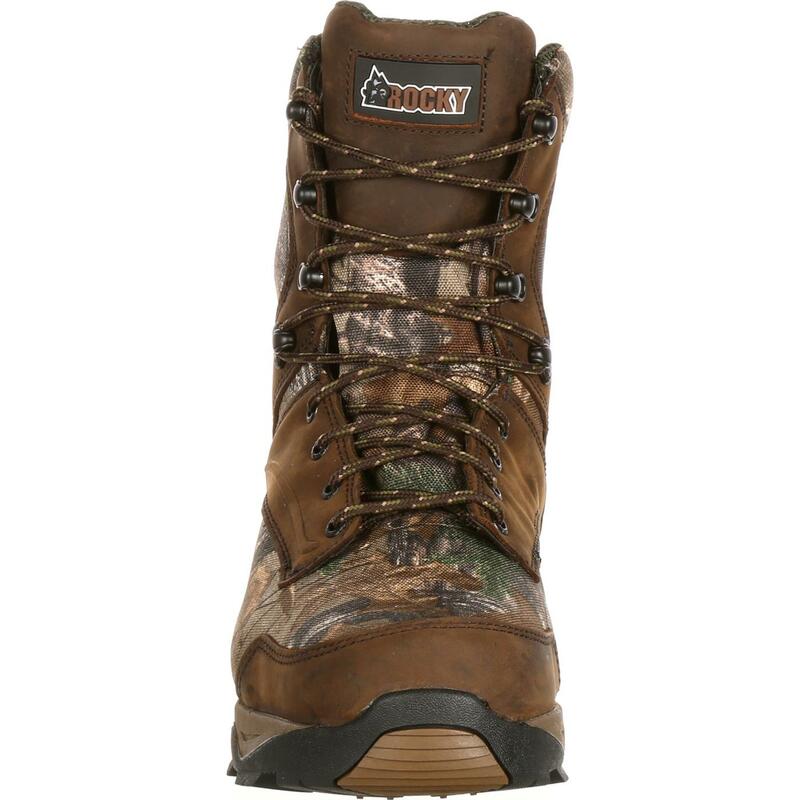 You can have all that in one pair of outdoor boots; just get the Rocky Retraction!